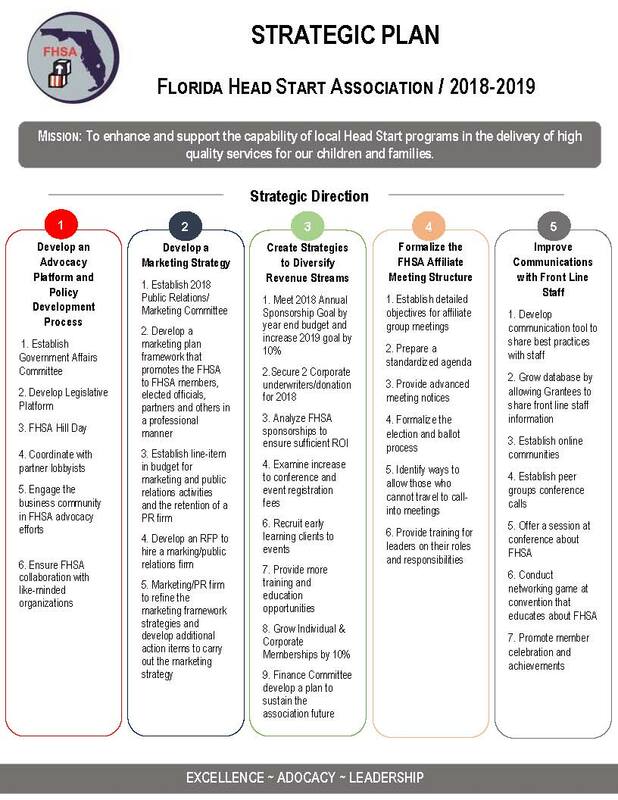 The Florida Head Start Association (FHSA) is a nonprofit corporation formed in 1999 and recognized as tax-exempt by the U.S. Internal Revenue Service. The association is governed by its elected Board of Directors and its membership. The FHSA Board of Directors meets quarterly and the membership meets annually to approve election ballots for the Board of Directors, receive financial reports, and raise any issues of concern.